Not your ordinary small speaker system, the NX-B55 employs a unique cabinet shape and front-ported design that delivers exceptional frequency response with clear sound fields. 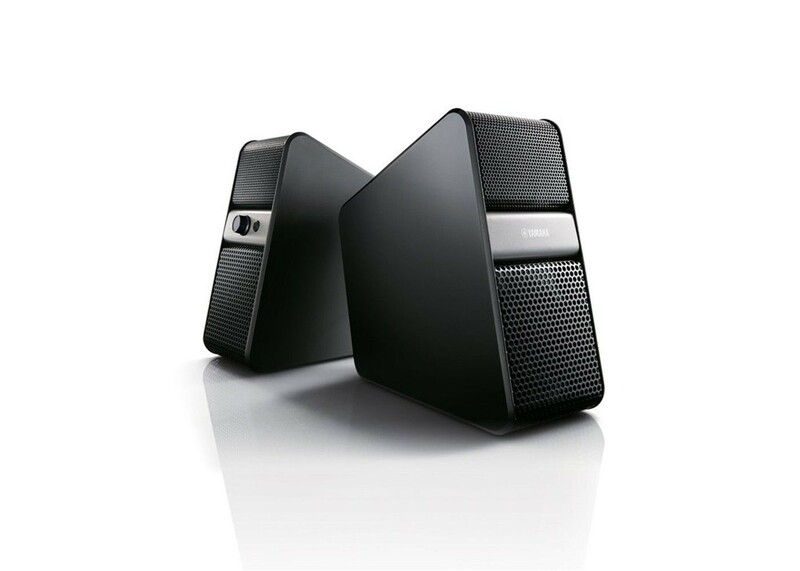 A perfect companion for your PC or Mac, these powered speakers also work great with iPad, iPhone and Android devices. How΄s this for easy operation: you don΄t need to turn the power on and off. Auto Standby automatically puts the system into standby mode after a period of inactivity, then turns it on when sound is detected. And with Auto Mix you can simultaneously play the two sound sources connected via Bluetooth and the input jack – no need to switch inputs! There΄s even an easy-access front panel volume control and headphone jack for your convenience. This is not your ordinary small speaker system. It΄s tuned to deliver maximum performance from every type of digital device. The unique cabinet shape prevents internal sound loss and gives the best possible frequency response. Plus, a bass port in the front pushes sound straight out into the room, providing clear sound fields. The automatic loudness control perfectly adjusts bass output to match the volume. Easily enhance your entertainment with bigger and better sound! Simply pair your phone or tablet via Bluetooth for instantly great sound quality. You can also plug in your computer or TV to upgrade their sound output. And, with modern metal grilles and a unique design, this speaker system looks as stylish as it sounds. Weight: Right speaker; 2.4 lbs., Left speaker; 2.2 lbs.